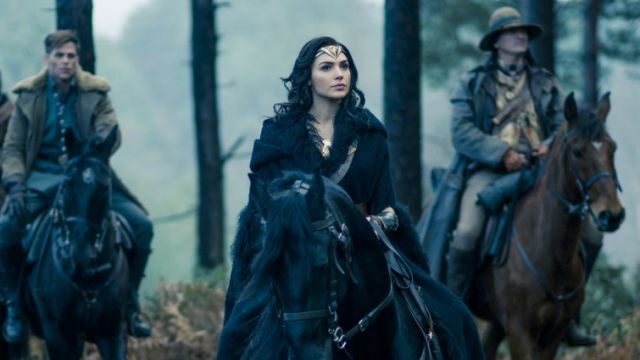 Warner Bros. Pictures (via TIME) has released a new photo from the upcoming Wonder Woman movie, featuring Gal Gadot’s title hero riding alongside Steve Trevor and his squad (who we’ve briefly seen in the old photo from Batman v Superman: Dawn of Justice). Check it out in the gallery below! RELATED: 90 Screenshots from the New Wonder Woman Trailer!